Each year thousands are killed or injured in accidents involving commercial trucks. For trucking companies, this can be a very serious problem. Understanding what is at stake if one of their truck drivers causes a serious accident; most trucking companies have an entire truck accident law firm on hand to handle any such situation. In cases of 18 wheeler crashes, these law firms will try and make the truck accident evidence show in favor of the trucking company. It is their job to make it look as if the cause of truck accidents is not that of the driver. Because of this, there are a few very important steps that you should take if you or a loved one has been injured or killed in a semi truck accident. Once the following steps have been taken, you should contact a semi truck accident attorney such as Boston Truck Accident Lawyer Neil Burns or Roshan Jain. Those who have been involved in an accident in which an 18 wheeler played a part may sustain more serious injuries than those in a car accident. Because of this, it may be more difficult to take the steps needed to protect yourself and your loved ones. If you have been involved in an accident with a semi truck, the very first thing you should do is contact medical emergency services by calling 911. Even if you or your loved ones feel fine or have no visible injuries, there could be medical issues that you do not yet feel. You could also be in shock and unable to tell whether or not you are injured. It is vital that you are taken to a hospital where doctors can accurately judge whether or not you have sustained injuries. If you are able to, there are a few things that you can do while waiting for emergency personnel. Use your cell phone camera to get multiple pictures of the scene of the accident. Write down everything you can remember about the accident as soon as possible, while your memory is fresh. 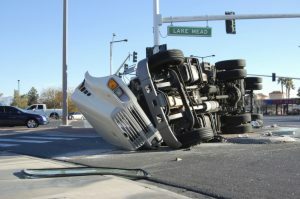 Talk to witnesses, and get their names and phone numbers for your truck accident lawyer to use in your case. Remember that the trucking company will immediately retain their own investigators which will gather evidence to support them, downplay evidence that points to the trucking company being at fault, and try to get witness statements that support the trucking company. You will need to do the same for your side if possible, to go ahead and lay the groundwork for your semi truck accident lawyer. Will My Truck Accident Case Go To Court? Trucking insurance companies generally investigate their insured’s cases thoroughly. There is often a whole fleet of trucks they are insuring they do not want to make any assumptions about how the truck was operated or maintained. You will need an aggressive and experienced attorney to prosecute and resolve a truck accident case. More likely than not you will need to be involved with a lawsuit, but that does not mean a trial; nor does mean that your case will unfold like a drama in the movies. Both sides will be very professional and undertake discovery to determine how the truck accident happened and the extent of your damages. Often securing documents from the owner of the truck, or trucking company, will be difficult. Truck driver logs, health and criminal records need to be secured. Only in a lawsuit can we “discover” these documents. We work with our clients every step of the way to inform them of how the case is progressing and how we can get it successfully resolved. There are many factors which can contribute to a trucking accident. Driver fatigue is one of the main causes of an accident involving an 18 wheeler. Equipment failure, such as faulty brakes, is another common cause. If the truck has not been loaded properly, or is overloaded, an accident could easily occur. 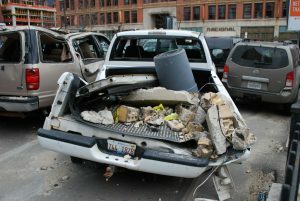 Shifting of improperly packed items in a truck can amplify the collision. Distracted driving, speeding, and other forms of driver negligence can also cause others to be injured or killed in semi truck accidents. If you or someone you love has been injured in an 18 wheeler accident, give Attorney Neil Burns or Roshan Jain a call today.